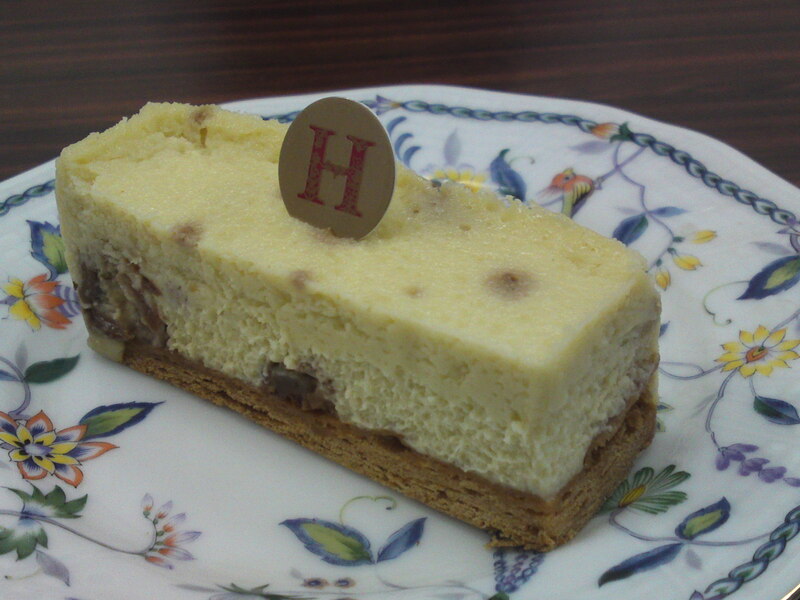 Classic Cakes by Takuya Hanai at Salon de The Hanai (2): Blue Cheese cake! I used to conduct tastings of Takuya Hanai/花井拓也さん at his former shop, Taky’s. It is only natural that I continued with his cakes at his new shop, Hanai Salon de The! But I actually conducted this second tasting thanks to my good friend Mika who preceded me and brought this new creation for the two of us to taste: Blue Cheese Cake! 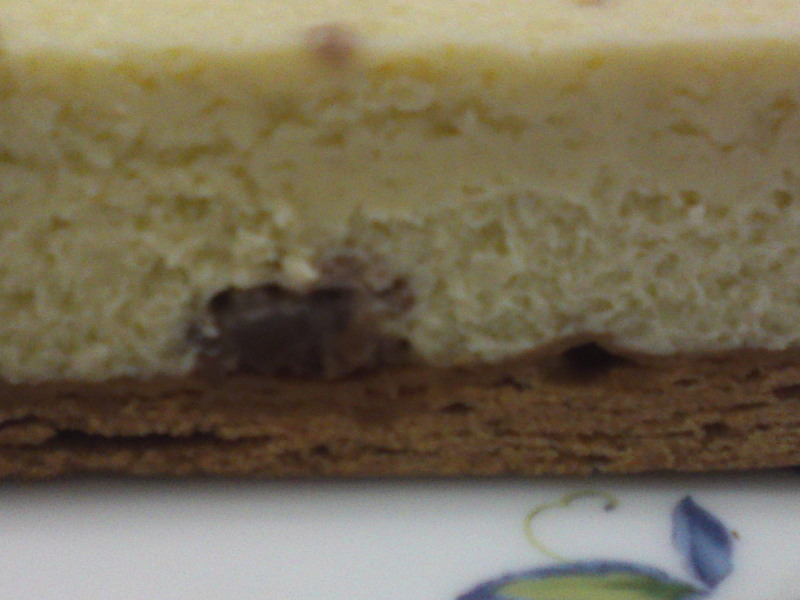 The concept of blue cheese for a cheese cake is highly risky for many obvious reasons. But the combination with rum raisins, walnuts and dry figs will not only balance the strength of the blue cheese but actually create for an intriguing sweet and salty marriage. 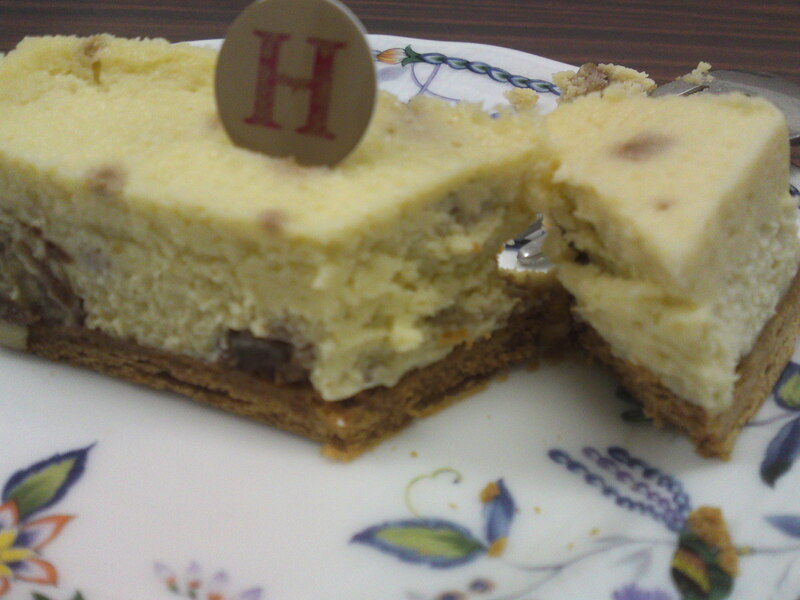 It is a very creamy cheese cake riding a crispy biscuit, assertive but without any piquancy. Actually, the whole approach is sweeter than expected mainly thanks to the addition of dry fruit. Very elegant, with a superb balance, it is pleasure aimed at an adult clientele. It definitely could be used as an appetizer! Previous PostJapanese Cuttlefish/Squids Species 2: Kensaki Ika (Red Squid)Next PostKURA: Traditional Japanese Warehouses in Shizuoka Prefecture 27: Akino Family House in Shimada City!